Support Jessica Austin January 23rd at Lariat Lodge Brewing Company! 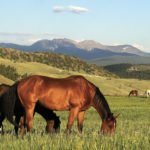 One of our local fixtures in the horse community needs your help. Not because she is asking for it, but because that is what we do as a community. When people are vulnerable and share their struggles, it allows others to share the load, the struggles and the joy. 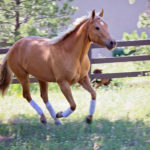 Carolyn Knapp-Nelson met Jess boarding at Helen Mleynek’s Elk Ridge Ranch when Jess first moved to Evergreen. They connected as two English riders in a Western world. Carolyn rode Dressage and Jess at the time rode to condition for Fox Hunting. They had great respect for one another and rode the back trail to, and in Alderfer Three Sisters Open Space together. 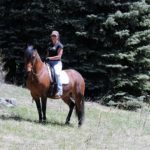 Through riding together on our mountain trails, Carolyn found Jess to be an accomplished rider with soft hands, respect for her horse, and fearless. Back to work with $12.34 in her pocket, it looked like the worst was behind her. Although this fall, she was diagnosed with a form of breast cancer — HER2+/estrogen negative/progesterone positive — that has mystified and intimidated even her doctors. Jess underwent a double mastectomy surgery on December 30th. The costs are above and beyond her insurance coverage. Jess is one of the welcoming front of the house staff members at the amazing new Lariat Lodge Brewing Company near downtown Evergreen. The Lariat Lodge is dedicating Saturday January 23, from 11am to 11pm the Star Pony Fundraiser. The Star Pony Fundraiser will be an all-day music event with local musicians donating their talents, fantastic barbecue from Chef Michael, an amazing silent auction and many ways to come alongside Jess with a portion of the proceeds for food, drinks and tips going to help Jess with medical expenses. HOW CAN YOU HELP? Please come share the load for Jess on January 23rd 11am-11pm at Lariat Lodge – 27618 Fireweed Drive or donate to her You Caring page: www.youcaring.com/jessica-austin-494391. Thank you Margaret Rode & Carolyn Knapp-Nelson for your words and Tanya Buck for the great pictures! Evergreen Rodeo Weekend and the Year of the Horse!